The American Health Council welcomes Sabrina McCluskey MSN, BSN to its Board of Nurses. Ms. McCluskey will be adding her expertise in Family Medicine to the wealth of knowledge on the American Health Council’s Nursing Board. 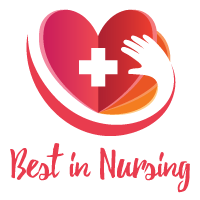 With an exceptional 14 years within the healthcare industry, it is evident that she pours her heart and passion into her professional nursing work. The American Health Council is proud to acknowledge Ms. McCluskey for her clinical acumen and dedication to her field thus far. Ms. McCluskey, as a young student, had a strong desire to help people. She wanted to see her impact on patient health and behavior relative to their lifestyle, therefore securing a healthier future for her patients. Searching for a way to translate that into a professional career, Ms. McCluskey committed to a nursing education. In 2002, McCluskey graduated with a Bachelor of Science in Nursing (BSN) from North Carolina Agricultural and Technical State University. Determined to enhance her established clinical skills and provide the highest-quality patient care, Ms. McCluskey went on to earn a Master of Science in Nursing (MSN) from East Carolina University in 2008. 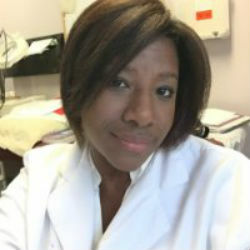 Ms. McCluskey presently employs her comprehensive academic training and clinical acumen in her community in Charlotte, North Carolina. Ms. McCluskey served a large population as Family Nurse Practitioner at Novant Health. In this position, she floats between eight facilities assessing, ordering and interpreting diagnostic tests, diagnosing, initiating and managing treatment plans which include prescribing medication in an acute care setting to patients of all ages. Ms. McCluskey cites her love for the profession and people as her principal professional motivation. Her hard work and dedication unmistakably contribute to the success Ms. McCluskey has enjoyed over her career so far. Her exceptionalism as a healthcare provider prompted associations with the American Association of Nurse Practitioners and membership with the Metrolina Coalition of Nurse Practitioners (Charlotte) from 2012 to 2014. Ms. McCluskey has ambitious professional goals for the future. Within the next five years, she envisions founding her own practice. Ms. McCluskey will continuously explore other areas of interest in nursing. In her free time, Ms. McCluskey enjoys reading with a special interest in self-help, inspirational, and motivational books and articles. She is also learning to play golf and enjoys cheering on the Charlotte Hornets in-person at their basketball games. A testament to her characteristic integrity and generosity, Ms. McCluskey regularly donates to Goodwill and local church outreach. Furthermore, she shares her extensive insight with the future generation of clinicians by precepting NP students. The American Health Council Nursing Board welcomes Sabrina McCluskey MSN, BSN to its extended network of healthcare professionals. With an exceptional 14 years within the healthcare industry, it is evident that she pours her heart & passion into her professional nursing work. Novant Health has world class technology which allows their committed physicians, nurses, & staff to deliver remarkable healthcare experience to their patients.